If you like Telltale Games releases and enjoy a good crime thriller, then you'll love this. 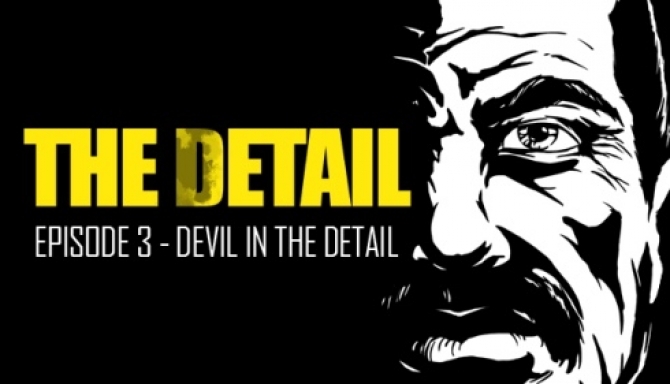 Before I get into reviewing The Detail Episode 3 – Devil in the Details, I have to say that I more than a little bit in love with film noir and hard-boiled detective fiction. I don’t exactly know why, perhaps it’s something to do with how bittersweet and world weary it can be. Or maybe it’s because of Batman (y’know, because he’s the world’s greatest detective). I don’t think about it too much, I just enjoy whatever form it’s in. Whether that’s a Raymond Chandler novel, or a Frank Miller comic or a film with a fedora-wearing Humphrey Bogart, it’s all good to me. So when I was told there was a chance to review a game that was like a mash-up of The Wire with Sin City and done in the style of Telltale Games, I had my hand firmly in the air at Geek Pride HQ. And I wasn’t disappointed. The Detail is a story-driven episodic crime adventure title from independent developer Rival Games. It’s a point-and-click choose-your-own-adventure game that feels as though you’re reading a Frank Miller comic book. The artwork is simplistic but brilliant in a Sin City sort of way. And just like that comic, it’s incredibly evocative of the mood of the story. Episode 3 follows directly on from the previous episodes (and it’s worth noting here, that the game wouldn’t let me play Episode 3 without having played the previous episodes, so you need to buy all the game content if you don’t own the previous episodes already) and is set at Christmas-time. Told much like LA Confidential, the contemporary noir story centres around 3 main characters: detective Reggie Moore, informant Joe Miller and officer Katelyn Hayes. 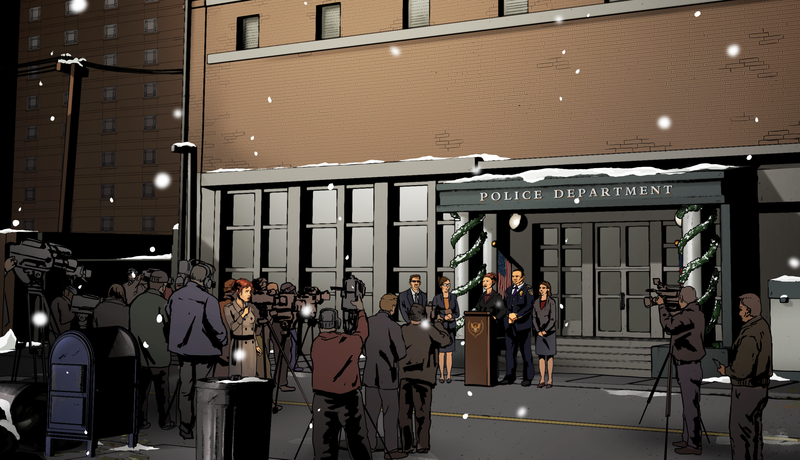 Similar to The Wire, the new major crimes unit is tasked with tackling crime, only to stumble upon hints of major corruption at the heart of the city. The team, with Joe as their informant, work together to bring down a prostitution ring that’s kidnapping and murdering their competition. From there they follow the breadcrumbs of their investigation which lead all the way back up to City Hall. The story and dialogue I felt were great. Whilst there’s no voice acting or sound effects (just the soundtrack) the game allows your imagination to create these characters’ personalities, which in turn makes it easier for the player to choose the dialogue selections they think are most suitable for Reggie, Joe and Kate. The game takes inspiration from modern noir/crime sources, but still manages to be tense and keep the player guessing all the way through as you follow the lead characters down the rabbit hole and into the seedy underbelly of the city. It is a shame then that the ending was so rushed. I read after I’d finished the game, that The Detail was originally meant to run for 5 episodes but sales weren’t as hoped so Episode 3 had to unfortunately wrap up a 5 episode ark in three installments and it’s very noticeable. A couple of other niggles that I need to mention, I created a glitch in my game by trying to replay a section to see whether my choice made a difference to the storyline. This was right at the end of the game (although I didn’t know that at the time) and I could no longer progress the story. I tried all kinds of clicking and exiting out of it, but eventually had to replay the episode again. The devs definitely need to improve on this. I also have to say that I replayed parts of the episode and I don’t think my dialogue choices really made much of a difference. This is a problem I have too with the Telltale games and this style of game really. Obviously you can’t have infinite choices, but I would like to feel as though choosing to play Reggie as a bad cop made a difference to the story than if I’d have played him as a good cop. 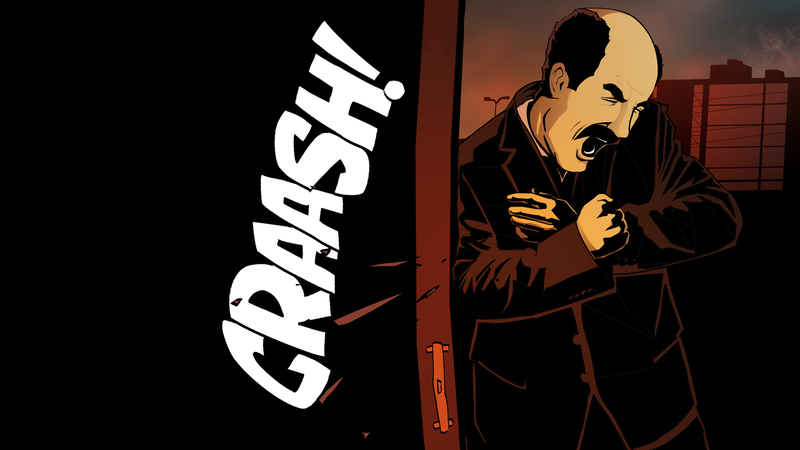 But then The Detail feels a lot more than an interactive comic book than a traditional game. And given that it has such a strong story too, you’re so focused on finding out what happens next that you don’t think too much about how you get there. Even so, it’s still a small mark against it. Those are minor niggles though and they didn’t spoil my overall enjoyment of a game that felt like a breath of fresh, and yet familiar air. A great call-back to the tv shows, comics and movies that I love, and an art style that works so well with the mood of the story. I just wish they hadn’t rushed the ending. Even so, I’m definitely looking forward to seeing what Rival Games produce next if it’s as good as The Detail – Seaon One has been. 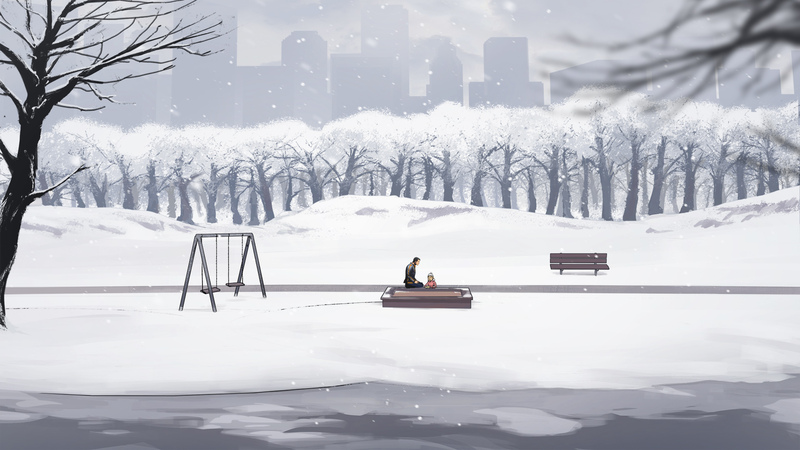 The Detail is available on Steam to buy as single episodes or as a season bundle here.